In 1998, just after I finalized my final project for an MBA, I decided to go travelling for 2 months. As part of my travel experience, I decided to do some voluntary work in Nepal through www.siw.nl, a Dutch organization with a decent international partner network. They sold me out! Imagine that: As a highly qualified business professional I was prepared to do some voluntary work. I even paid money to an organization called SIW, to do voluntary work abroad in a proper programme (thats why I paid). And 16 years later I am still in a position comparable to slavery. How come? February 1998 I went to Manigram (Nepal) to help in a project. a) teach at a local school named Little Budha, and b) conduct research on Health care in the region. The entire project was a scam. The camp was organized by secret service agents, who tested how I would respond to stress and terrible circumstances. Unfortunately, I passed the test. Here is a team picture of that week (link). After the voluntary camp, one of the other volunteers asked me to join her on a trekking trip through the Himalaya. After three days of walking, she needed to leave to Thailand and I was basically on my own, which was fine with me. I did not know, that secret service agents intended to follow me during the entire trekking. Yet they did, to test me again on psychological strength (NASA), physical strength (Peter) and character (Patrick). Unfortunately, again I passed their test. After travelling through Nepal, I decided to spend the last few weeks of my holidays in Northern India. In that time period I have been followed around as well, mostly (looking back) by George Clooney and his team. In the first few months of 1998, several teams of secret service agents tested me. The objective was to find out if I could handle the stress of a) the situation in Bangkok and b) the gang stalking programme they had already designed for me. They were stalking me my entire holidays. As I was travelling by myself in a country I never been to before, it is difficult to defend yourself except by walking away whenever you can. Unbelievable, yet programmes like this are happening in the Netherlands. This entry was posted in Best -must read- posts, international, Pedonetwerk, Politie, Politiek, Waarheidscommissie. Bookmark the permalink. 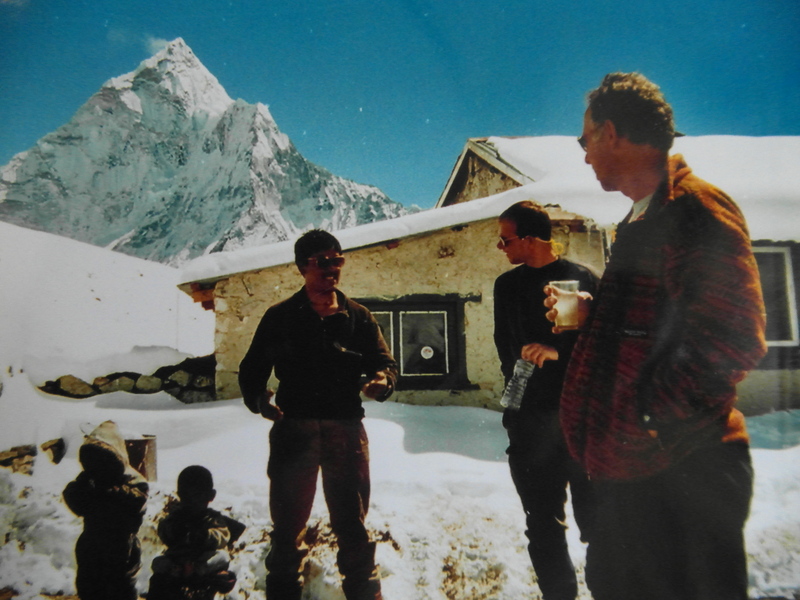 3 Responses to In 1998, I joined a voluntary workers camp in Nepal… What world do we live in?! Wie is de man in het midden? Clooney ook? Heeft wel hetzelfde postuur. Ik denk dat het m niet is, nee. Het wordt wel steeds ingewikkelder en ongeloofwaardiger. Aan de andere kant ook wel logisch. Geheim agenten zijn niet James Hond. Het zijn ACAB on steriodes.